With the commissioning of its new North Works factory at Solihull, Birmingham, today (7 July 1982), Land Rover Ltd is precisely on target with its investment plans. The massive £85-million high technology plant is now 'on stream' significantly to increase output of two greatly improved products - an advanced five-bearing crankshaft Land Rover engine and refined versions of the two and four door Range Rovers. The four door derivative is also introduced today and will be available for sale by 1st August. North Works will eventually enable production of both the new engine and the Range Rover to be increased by 75 per cent over levels achieved three years ago, when the Company was first given full autonomy. The new factory is already allowing Land Rover Ltd to reduce customer delivery times for its highly prized vehicles, while at the same time dramatically improving its own operating efficiency. Comprehensive quality audits, using computers, have become an almost obsessive feature of manufacture. The new plant is evidence of the Company's determination to stay on top of the world 4 x 4 market, a position based on sound reputation and jealously maintained since the introduction of the first Land Rover over 30 years ago. 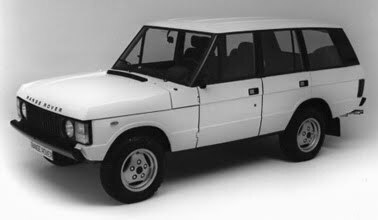 The famous Range Rover, launched in 1970, continues to set trends in the same market, albeit in a more 'up market' and refined manner. North Works combines some of the most advanced 'micro-chip' technology available to the motor industry together with the traditional, manual skills of Land Rover craftsmen. As usual, every vehicle is tailor-made to customer specifications. 1. A Land Rover power and transmissions plant, producing both petrol and diesel versions of the new five-bearing crankshaft, 2 1/4 litre engine, designed to give smoother and quieter performance. These replace the former three-bearing crankshaft units. This section of the plant is now achieving its planned rate of climb to 1000 fully tested engines a week on a single day shift and became operational last month, exactly as planned. 2. A separate, self-contained paint shop and full assembly plant for exclusive production of two and four door Range Rovers. As from today, both versions are given extensive, additional refinements including higher compression engines for improved fuel economy, quiteter transmission and improved equipment and cosmetics. This area of North Works has a capacity to produce 600 vehicles a week on two shifts. Rate of production of either two or four door models will depend upon market demand, and a high degree of flexibility is built into this facility so that new variants can be easily and quickly accomodated. Range Rover production at North Works began, as scheduled, in January of this year. The transfer of this model from its former assembly site was achieved in just one weekend (4:30 pm Friday - 7:30 am Monday). North Works is now the main Land Rover power and transmission plant, while outlying factories in the Midlands will continue to supply components. The new Range Rover section of the factory means a complete transfer of assembly of these vehicles from South Works, also on the Solihull site. South Works will continue to asselble Land Rovers and the absence of Range Rover in that plant will make room for mordernised and extended Land Rover facilities there, in due course. North Works is based on the former Rover 2000 factory, which was completely gutted, renovatet and greatly eatended to house the new complex. This work began only two years ago and to help merge the low profile plant into local environment, 28.000 tons of soil were used to build a grassed bank around the site. The earth was excavated to accommodate a huge, computerised engine parts store below ground level. North Works is the most spectacular example of carefully planned growth by Land Rover Ltd, so far. It is part of an expansion programme which will account for £200-million by the end of 1982 and is incorporated in the Company's Stage Two investment plan. Stage Two also sees the introduction of the four door Range Rover and will include the installation of fushion welding robots to make Land Rover chassis at the Garrison Street factory in Bordesley Green, Birmingham. Stage One expansion, costing £30-million, began in 1978 and covered the provision of a new V8 engine track at Acocks Green, Birmingham. 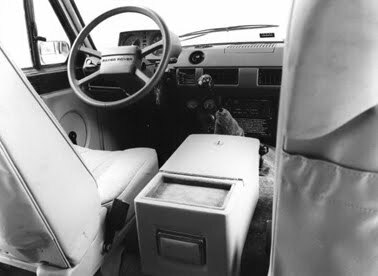 The following year, the Land Rover V8 was launched, together with modern assembly facilities for its production, and a more refined 'face-lift' Range Rover was introduced. Stage Three, planned to consolidate the Company's position in the 4 x 4 market by 1984, wil involve the spread of high technology manufacturing techniques and a further increase in Land Rover production, with vastly improved assembly facilities in South Works. In addition, new model derivatives will be introduced within this phase.